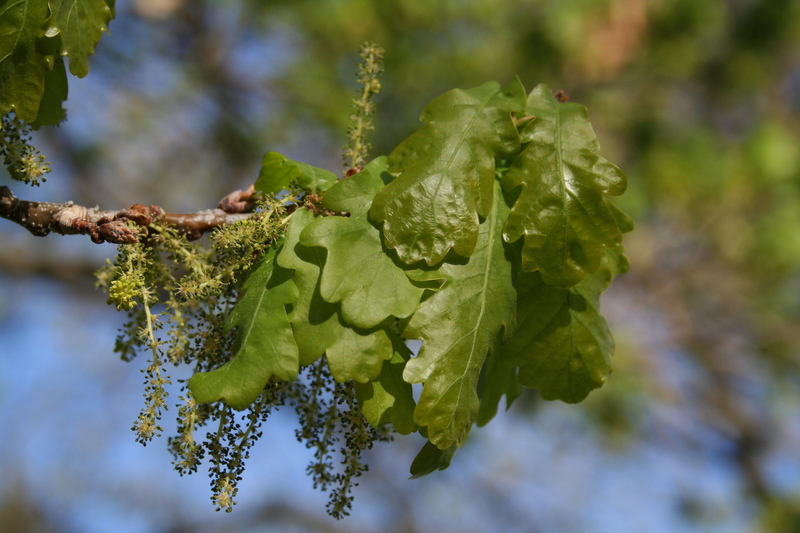 As its name implies, English oak is native to England and actually occurs throughout much of Europe extending into western Siberia, attesting to its tough and adaptable nature. Though it is clearly more at home in the eastern part of Nebraska, English oak has been growing successfully in communities across the state for many decades. The tree somewhat resembles bur oak in form and stature, though it is typically more upright when young with an oval canopy as it matures. Its glossy leaves, resembling a smaller version of white oak, turn a tan-brown in fall and can be retained throughout much of the winter, especially on young trees. The acorns are distinctively long and narrow (resembling a finger) and are the only ones found in Nebraska that occur on a stalk (peduncle). 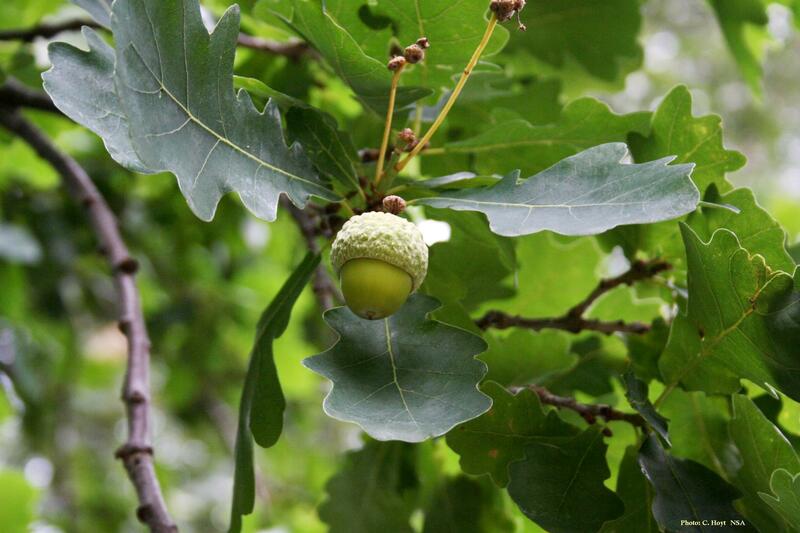 Over the centuries, numerous cultivated varieties have been developed including several columnar types known collectively as upright English oak (Quercus robur var. fastigiata) some of which are extremely narrow.